Just because an appliance is working correctly doesn’t necessarily mean that the appliance is problem-free. Often, future damages go undetected and will slowly get worse over time. From fraying wires to worn down mechanical parts, problems in appliances tend to form and go unnoticed, until eventually these problems turn into much needed repairs. 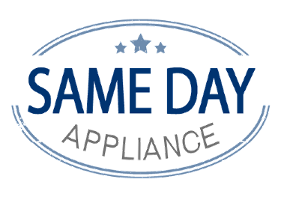 If you own a damaged, malfunctioning, or broken appliance, do not delay—contact Same Day Appliance Repair for your necessary appliance repairs. Alexandria, VA area residents can contact us to repair any of the following residential appliances: air conditioners, refrigerators, freezers, washers, dryers, dish washers, ovens, ranges, and range hoods. Our licensed, bonded, and insured repair technicians easily repair any residential appliance and restore it back to correct operation. So no matter what your appliance’s malfunction may be, know that you can contact us for reliable, dedicated and completely professional appliance repair. Alexandria, VA area military personnel and elderly citizens should also inquire about our special offers and rates! Same Day Appliance Repair provides its customers with comprehensive appliance services in Alexandria. If you need assistance with appliance installation or annual maintenance, then contact us today and learn how we can affordably assist you. 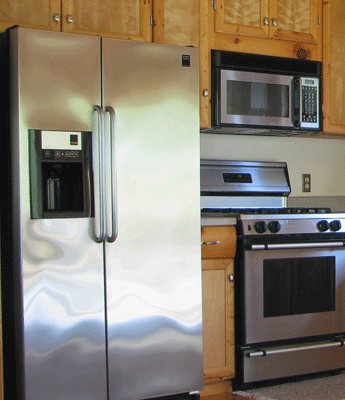 We have extensive knowledge in all things residential appliance installation related. We have installed dishwashers, refrigerators, and air conditioners to a countless number of Alexandria area homes. Additionally, our appliance service in Alexandria is used by customers who need assistance with more than just appliance installation. Our service technicians also provide annual maintenance for residential appliances. Unlike the appliances of yesteryear, modern appliances need regular maintenance in order to continue operating in a correct and energy-efficient manner. Today, former energy hogs like refrigerators use less energy than a 75 watt light bulb and energy efficient dishwashers will conserve 1,300 gallons of water over the appliance’s lifetime. However, to continue reaping the benefits of energy efficient appliances, annual maintenance is essential. Maintenance ensures that all of the fluids that an appliance uses are at the correct levels and that any areas of concern are quickly brought to our customer’s attention. This ensures that your appliance will last for as long as possible and won’t fail as a result of lack of maintenance. Contact us today for more information on our appliance services. Same Day Appliance Repair provides high-quality and correct appliance services and appliance repair. Alexandria, VA area residents can contact us for all of your residential appliance needs! We serve Alexandria and its surrounding communities.